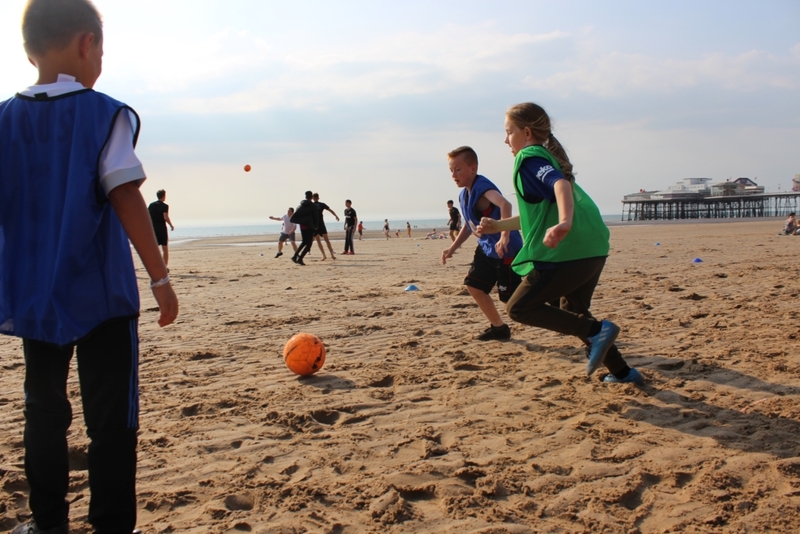 Last month, local authorities and partners from across the Fylde peninsular came together to launch LOVEmyBEACH Active Coast; a programme that highlights the range of sports and activities taking place throughout the summer on the Fylde’s coastline. The launch was also an opportunity to showcase the cleaner beaches and seas on the coast; all of which are rated Good or Excellent for water quality, and encourage other partners to see this as a space which can be used and enjoyed. 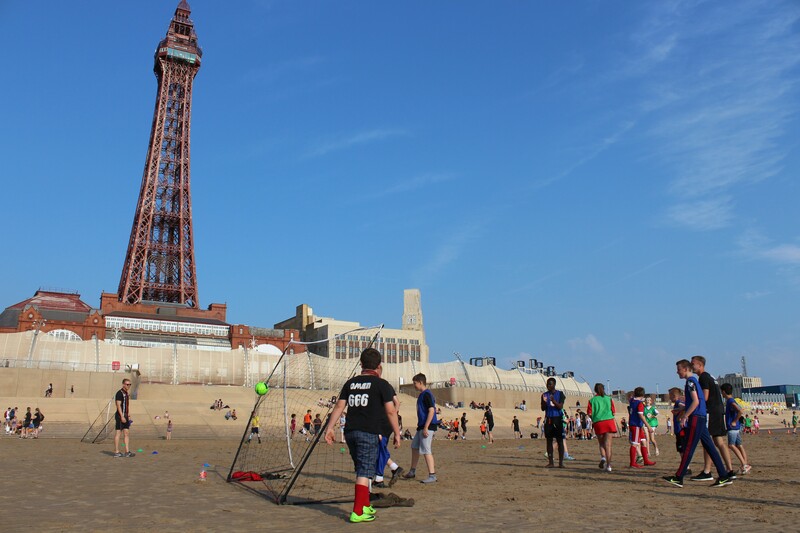 An active supporter from the start, Blackpool Football Club Community Trust hosted walking football and a 5 a-side kick around at the launch event and returned to the beach on Thursday 26th July with their first public community event; Kicks on the Beach. 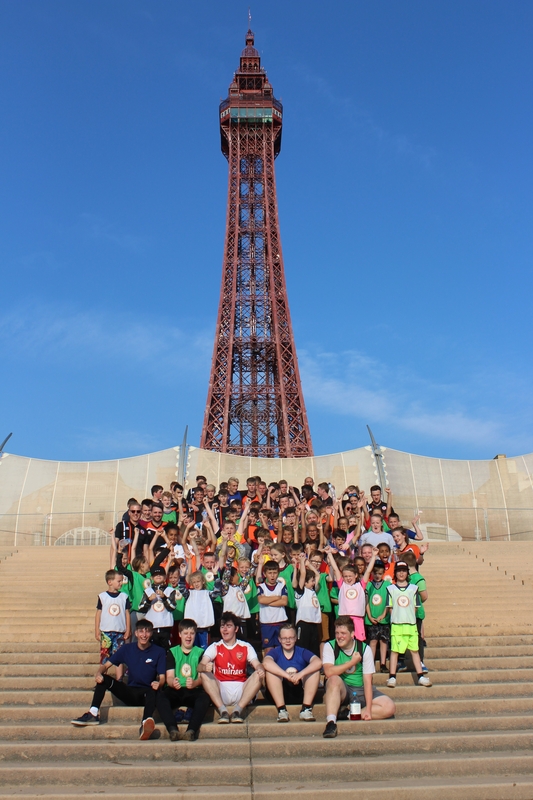 Kicks are free football sessions delivered by Blackpool FC Community Trust that take place across Blackpool for children and young people aged 7-19. 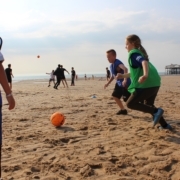 This special event replaces their regular Kicks sessions and provides an opportunity for the community to come together and play football on the beach. The event was supported by the Blackpool FC Youth Squad as part of a Social Action project that they are involved in through the National Citizen Service. For further information please contact Jason White on 01253 348691.